Today there is lots of information available to anyone who is overwhelmed by the idea of retiring. The internet, books and magazines give you ideas about what to do, what not to do and how to do it. Yet, the decision really lies with you. It might include work, travel or learning new things. Whatever it might be, make sure it sits well with the way you live your life. Here are 8 keys that you should think about as you create this picture of your retirement life. This will give you a structure and foundation to build your plans. Your ability to adapt to change will dictate how you approach most areas of your future life. There are life changes that you can expect in retirement; both positive and challenging. Perhaps the greatest transition of all is the one that you see each time you look in a mirror and see yourself change. It is easy to forget that “getting older” is a physical issue, not a mental one. A clear vision of the kind of life that you want. When you think of the word ‘retirement’, what vision comes to mind? Is retirement a work issue for you, or maybe a financial and investment plan? 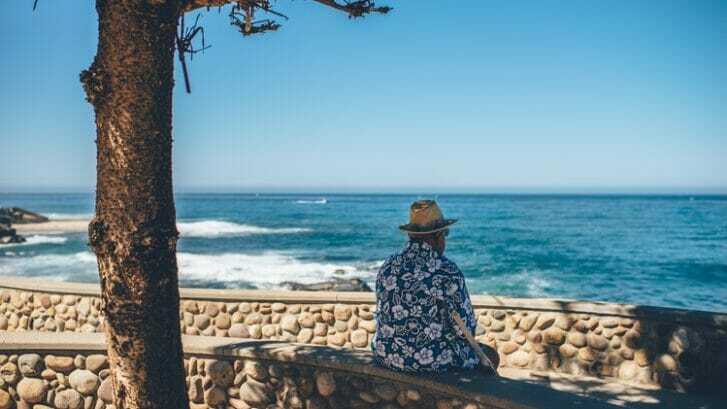 Far too many pre retirees make the mistake of thinking that the financial plan and the retirement plan are the same thing–which the life part will take care of itself. This stage of your life deserves a more holistic look and plan than simply assuming that you are beginning a thirty-year long weekend. Your work is the thing that you do to contribute your skills, experience, labour or knowledge to society in some way. It is also a way for you to “self-actualize” and create positive stress in your life. Even when you leave the traditional workplace, you will still have a need to share your workplace strengths and transferable skills. If you have a positive attitude towards the workplace, then the desire to have a retirement free from any kind of work becomes irrelevant. Work doesn’t have to be full-time, it doesn’t have to be something you don’t like to do, and it doesn’t even have to be for pay! Many retirees use volunteering as a way to replace the things that they miss most about their previous work. Our close personal relationships define us, give us a purpose for living our lives and encourage us to create life goals. We all have a basic need to share our lives, experiences and life journey with those closest to us. In retirement our friendships and close relationships may offer us the validation that we may have received in the workplace. Those relationships give us the opportunity to “connect” on many levels with someone close and to share ourselves. Having people close to you who will share your life and be there for you will not only add to your overall life enjoyment, but will also add years on to your life! As you get older, your social support network becomes increasingly important. You draw your social support network from a much broader social network. Successful retirees generally have robust social networks that provide them with friendship, fulfilling activities and life structure. As part of your retirement plan, you might want to think about the quality of the social network that you have today and your plans to build it. One of the lessons that we can learn about the aging process is that our social networks begin to shrink, if we aren’t continually adding to them. You can join clubs, meet new people and get out of the house to do new things. In retirement you are going to want a lot of people who you can count on and it makes good sense to continue to seek out new opportunities to socialize. Leisure is a fundamental human need. We use it to recharge our batteries, to act as a diversion in our lives, to create excitement, anticipation or simply to rest and contemplate. Things change, however, when leisure becomes the central focus of our lives. Leisure, by its very nature, loses its lustre when it is the norm in our life rather than the diversion. For many retirees, the idea of leisure is associated with “not having to do anything”. In the end, a lack of stimulation affects our mental and emotional state and then ultimately our physical well-being. There is a big difference between “time-filling” activities and “fulfilling” activities that we look forward to. In retirement, leisure activities often replace workplace functions to meet the basic needs that we have. Successful retirees balance their leisure over many different activities and take the opportunity to do new things and not get into a rut. Some retirees feel that a happy retirement is guaranteed by financial security. However, there is no price tag on successful retirement. Financial comfort refers to being able to manage your life in a satisfying and fulfilling way using the financial resources that you have. To read more about the services on offer by Shire Retirement Properties (Pty) Ltd, click here. Is a life right right for you? Copyright © 2019 Shire Prop. All rights reserved. Website developed by AltonSA.